A new benchmark has been set when it comes to integrated technology, passive health monitoring and assisted living units. 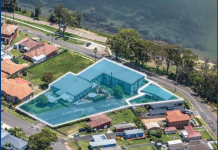 Not for profit aged care and retirement living provider, Bethanie, will offer a completely new category in independent seniors living featuring the latest advanced passive health monitoring and assisted living technology when it opens 48 new serviced apartments next month. WA’s first serviced apartments for seniors will provide the perfect balance of support and independence, and offer never before seen technology that will be a standard inclusion in the purchase cost and weekly service fee. The weekly service fee offers customers access to daily meals cooked fresh onsite every day and served in the Garden Dining Room, weekly linen and laundry services, and access to the Bethanie Wellness Hub. Each apartment has built-in features that allow the Bethanie Wellness Hub to operate. It will be offered via a supplied tablet device and will use advanced technology to support wellbeing and customer safety. Four large clear icons will feature on the tablet device – My Entertainment, My Social, My Interests and My Health. Via these four icons customers can easily access an integrated hub that assists with social connection, entertainment, concierge services, health monitoring and education and emergency assistance when required. The My Entertainment icon on the tablet offers a huge range of entertainment options, the My Social icon provides a range of options to help stay connected with family and friends and the My Interests icon provides a space to save favourite downloads, books and games for example. Setting a new standard in technology for West Australian seniors is the My Health icon. This takes customers through to a range of options designed to support health and wellbeing including access to videos for wellbeing exercises. However, it is the included Passive Monitoring as well as the optional extras available that are truly leading the way in new technological advances. With the addition of Bethanie staff onsite 24 hours a day, Passive Monitoring is included in the service fee and provides customers and family members with invaluable peace of mind that help is never far away in a Bethanie on the Park Serviced Apartment. Passive infra-red sensors can detect movement within rooms around each apartment. The Bethanie Wellness Hub will learn the customer’s normal day-to-day activity and if there is a noticeable change, it will automatically notify the chosen nominated contacts. For example, if a resident is normally up by 8am, a notification will be sent if there has been no movement in the living area by 10am. An integrated reed switch device is mounted on the front door to provide the Bethanie Wellness Hub with notifications of the front door opening and closing. Similar to the movement sensors, the reed switch will monitor usual activity and if there is a noticeable change, it will notify the nominated contacts. 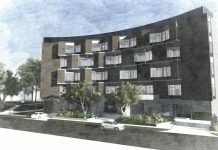 For example, the Bethanie Wellness Hub will send a notification to family if a resident has left the apartment, but not returned by their normal bedtime. Various additional iHealth personal monitoring devices can be purchased and connected to the Bethanie Wellness Hub such as water flow monitors to detect if a tap has been left running, additional motion sensors if required and floor and bed pressure sensors. To assist a customer monitor their health and aid in early detection of potential health issues, there are also additional Bluetooth connected devices that can record health metrics such as blood pressure, pulse, blood oxygen levels and blood glucose levels. The Bethanie Wellness Hub will record the readings and will trend results so you can see if there are changes from the customer’s normal ranges. Customers can also easily take their reading history to their local doctor as part of their annual check ups. A standard Bethanie Wellness Hub Emergency Response System is also included in the service fee. This features a wearable personal emergency pendant that is worn around the neck and connected to 24-hour monitoring. It also has a button that can be pushed if the customer has a fall or is in need of help and is operational while the customer is within the apartment. The personal emergency pendant can be upgraded to the Bethanie Wellness Hub ‘Active’ version for protection both inside and outside the apartment. The active pendant connects to a mobile phone via bluetooth so if customers are on the go and find themselves lost, need assistance or have had a fall, the pendant will connect through to the emergency monitoring centre using the customer’s mobile phone. The active pendant is also GPS enabled allowing emergency response services to quickly and accurately locate the customer. The other standard feature within the Bethanie Wellness Hub Emergency Response System is an Emergency Alert Dialer within the apartment. Unlike traditional devices that require the resident to be able to reach their mobile phone or landline phone, the Emergency Alert Dialer has a SIM card that allows the emergency monitoring service to talk to the customer directly. If required, this can be upgraded to include a Voice Panic Detector, which can be activated by calling out a key phrase if the customer is unable to physically push the Emergency Button on the Emergency Alert Dialer or their pendant following a fall for example. Should a customer, when first moving in, prefer not to have passive monitoring, Bethanie can turn this function off. Should, in the future, passive monitoring be requested by the customer, Bethanie can easily turn it on. 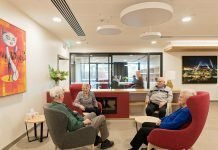 Sitting in between what is offered in an Independent Living Unit and an Aged Care Facility, Bethanie on the Park is targeted at those aged 80 years and over, offering a level of technology, care and affordable luxury unlike anything else in WA. Completed in December 2017, the apartments will complement the existing villas and apartments that form part of the stylish village called Bethanie on the Park. 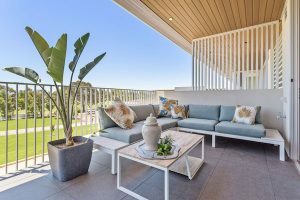 They have been finished to an exceptional standard, offering modern living in a picturesque location on the doorstep of Yokine Reserve, and also feature views of Perth city. “We are offering our ageing population the chance to remain independent for longer, with peace of mind that support is available. 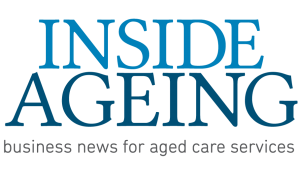 With sociability, wellbeing and independence not only provided but encouraged, this new service is a great option for Allied Health and General Practitioners to guide their customers to – especially given the health support options we will have on hand 24-7,” Bethanie CEO Chris How said. Every apartment features a balcony large enough to comfortably house an outdoor setting and BBQ. 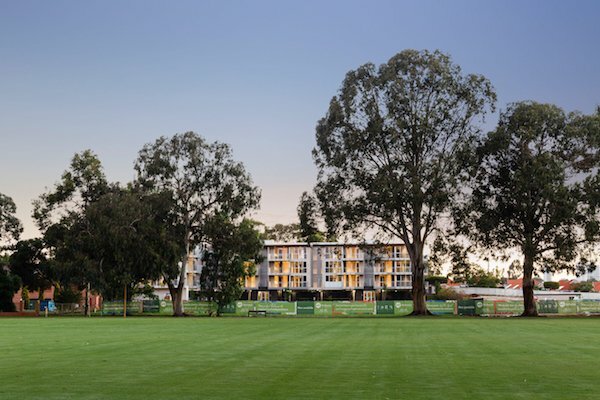 Residents will also have access to the Bethanie on the Park Clubhouse with additional features including a ballroom, dining area, bar and entertainment zone, library, hair salon, on-site wellness centre (podiatry, physio, allied health services) and a fully equipped gymnasium. One and two-bedroom apartments are available and start from $385,000. For less than $45 per day meals, cleaning, laundry and Bethanie’s health and wellness technology app are all included.